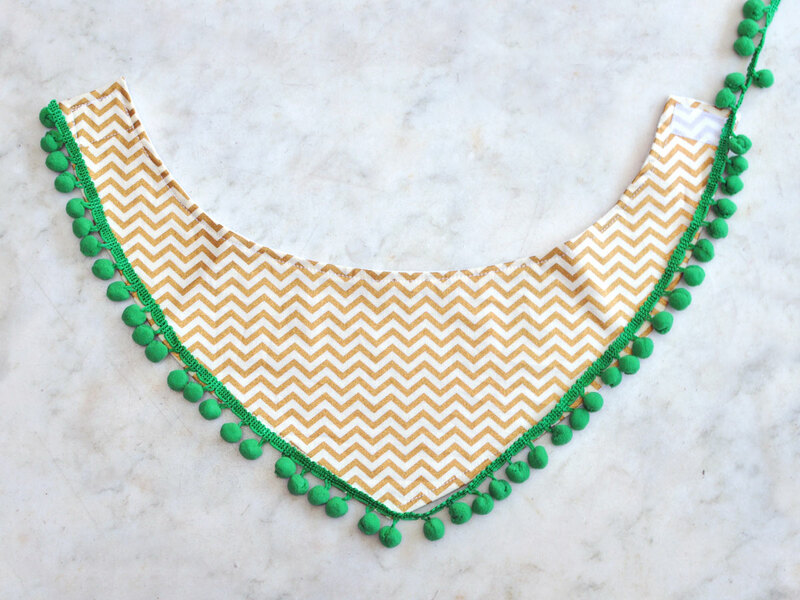 • 1 Baby Bandana Bib: I ordered this style because I needed one that was Prime-eligible (I was had a time crunch! ), but there are SO MANY options! Keep in mind that these will only fit a small/medium dog; for a larger dog, consider using a regular bandana. • 1 Yard Length Trim of Your Choice: I used a green pom pom trim from a local store, but you can also order similar options from Amazon or find an alternative at your local craft store. • 1 Patch or Appliqué: I chose this patch, again, because it was Prime-eligible, but there are lots of cheaper option on Amazon! You can also check your local craft store. • Needle and Thread, an Iron and Fusible Hem Tape, or Fabric Glue. That’s right, you don’t even have to sew! 1.) Cut your trim to fit the bandana edge. Cut a little bit extra, just in case! You can trim it more closely later. 2.) 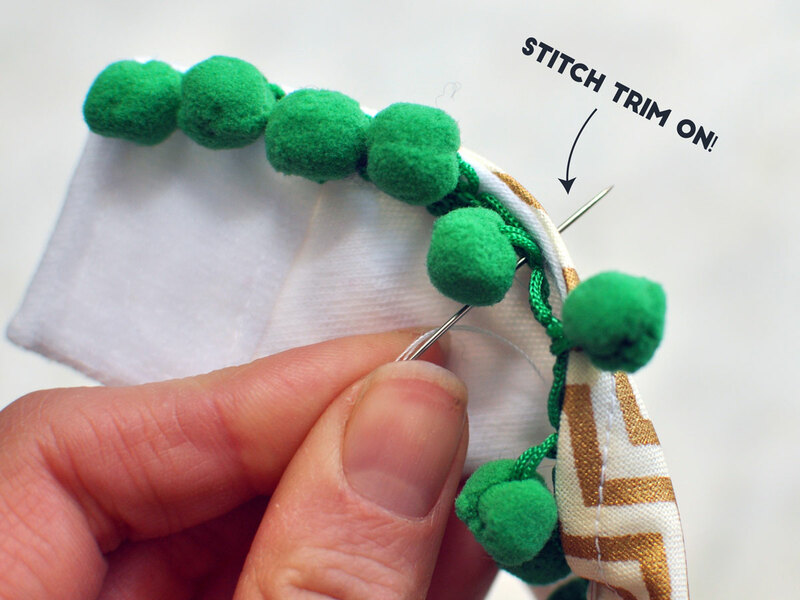 Attach the trim using your chosen method: sewing, fusible hem tape, or gluing. Choose your method and get to work! 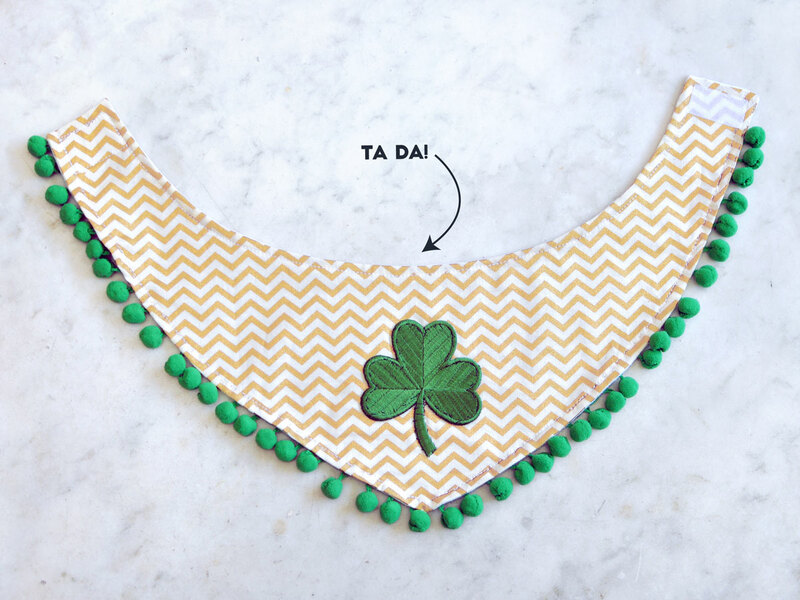 I chose to sew my bandana, which is probably the most sturdy but also most time-consuming option. 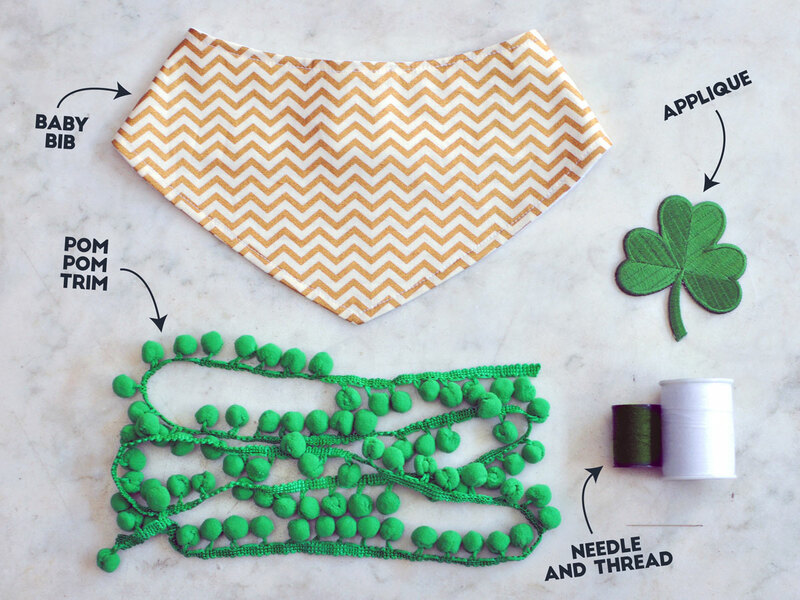 If you do choose to sew, you can keep your bandana looking neat by using a thread that matches the bandana’s existing stitch line and sewing along it. Sneaky, sneaky! 3.) 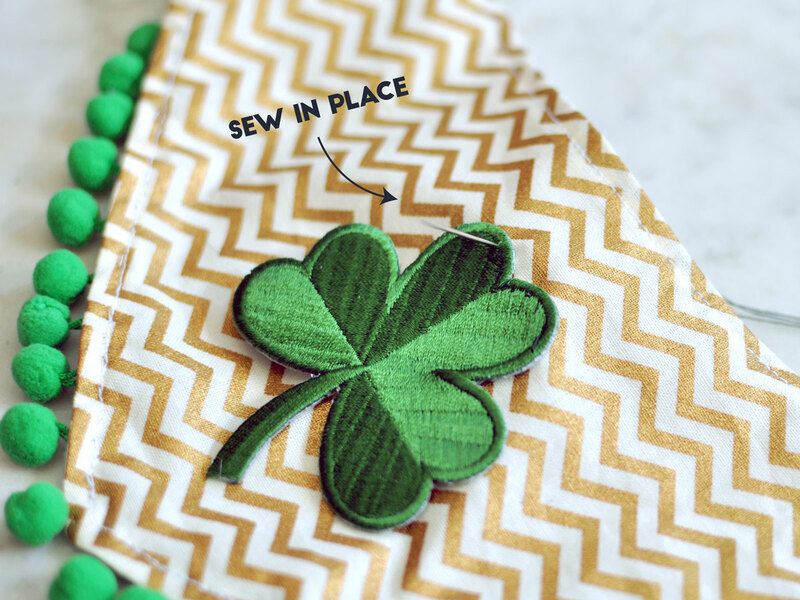 Attach your patch or appliqué using your chosen method: needle and thread, iron-on, or glue. If it’s not an iron-on patch, you will have to use either thread or glue. Be sure to center the patch carefully. There are limited possibilities! 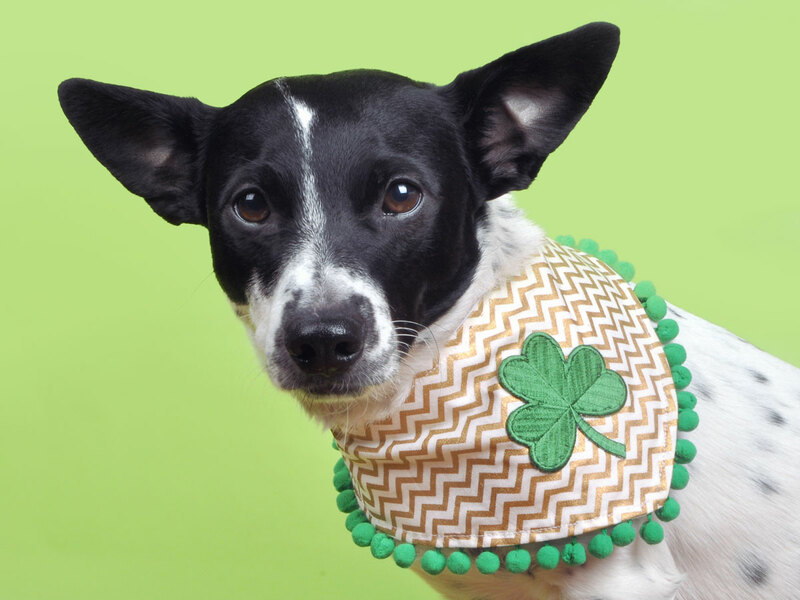 Best of all, each easy DIY dog bandana takes only a few minutes to make. What kind of bandana would you make?